Go see it! And see it on the big screen - (even IMAX - if you have the option). See the trailer for the film here. 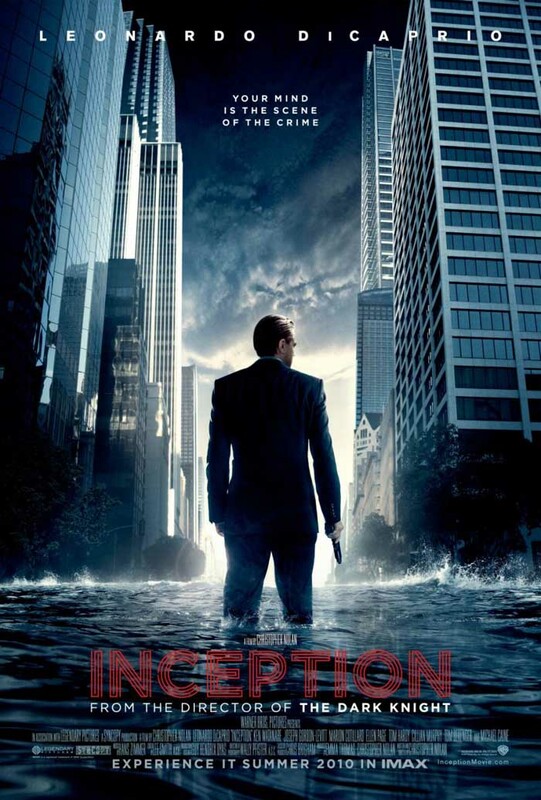 Inception is a visual treat with a challenging plot line. I wish it was half-an-hour shorter with some reduced chases and gunfights. But then again, Christopher Nolan was making a summer blockbuster, and it would have been hard for him to convince the studios to shell $200 million for a movie about dream invasions. So what is this movie about? When I saw the film the first time, I was caught up in the complex layering of dreams. I was struck by the fact that Nolan, who is amazing at creating atmosphere, did not take much advantage of surrealism afforded by the world of dreams. So I was initially disappointed to see no references to Dali (it would have been so cool to see a random molten clock on the beach...) or to Luis Bunuel, etc. But thinking about the movie afterwards, and after seeing it the second time, it is quite clear that Inception is not really about dreams. 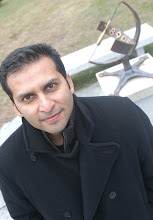 Yes, dreams serve as a premise - but that's about it. If it's not really about dreams - then what is it about? I think it is movies themselves - the art of making films and the experience of watching them as individuals. As Kevin Anderson puts it nicely in our No-glove autopsy of Inception, when we go to a movie, we share a collected dream, but the experience and meaning of the dream is often shaped by our own past experiences and prejudices that we bring to the film. We discuss more on these themes in the two autopsies below. My appreciation of the film grew enormously after my second viewing. Despite its complex plot, I think the movie is very consistent with the world it creates. I also love the music. The characters, like in other Nolan films, are quite a bit wound-up - and they could have used a bit more sense of humor - especially with Joseph Gordon-Levitt and Ellen Page at Nolan's disposal (they do share a splendidly sweet moment - but it appeared to me to have been improvised and likely not in the script. You'll know when you see the scene). But then again, Nolan seems to be fascinated by the dark side of human nature - ala Stanley Kubrick - but he is not there yet. This may not be a perfect film, but this is still a fantastic film that reaffirms the magic of big-screen cinema. Of course, you can find autopsies of other recent films at the Film Autopsy Blog. I just watched Inception...or perhaps I was dreaming that I watched it, or perhaps I am dreaming right now, or possibly it is a dream within a dream. Well I don't know for sure...! Okay, you two, cut it out. There is only one way to solve this: line the two of you up against a wall. 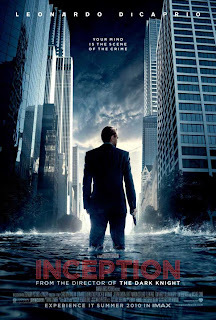 Just wanted to say that I appreciated the autopsies of “Inception,” which I saw recently. I went with my pal William, and the two of us were so boggled by the whole thing that we didn’t really manage to think about any deeper layers or meanings. (We spent a lot of time turning to each other in the dark and hissing, “Wait - what? !”) I think you and Kevin made interesting points when you suggested the movie is about regret and fear of aging, and I also got a kick out of your idea that the movie is a reflection of the movie-making/viewing process itself (although that then started to feel as M.C. Escher as the movie). These all make sense, although I was intrigued by how you managed to keep track of all the story complexities enough to do such an analysis. I have been thinking a lot recently about how we view, experience, and analyze (or don’t analyze) different forms of art, and I am curious as to how and when you and your colleague do it while (presumably) still enjoying and experiencing the movie on an emotional level. Do you analyze while viewing, or does the analysis tend to emerge out of post-viewing discussion and thought? I ask this in part because another friend and I have been agreeing that we tend to take movies and books at face value, and just enjoy getting swept up in the stories, without necessarily theorizing that something might be satire, or a metaphor. I don’t know if the ability to distance oneself from the experience comes with practice, or if it comes from taking a particularly analytical approach at the outset – and I wonder if it takes away from the visceral experience of the thing. "I have been thinking a lot recently about how we view, experience, and analyze (or don’t analyze) different forms of art, and I am curious as to how and when you and your colleague do it while (presumably) still enjoying and experiencing the movie on an emotional level. Do you analyze while viewing, or does the analysis tend to emerge out of post-viewing discussion and thought? " First, thanks for your nice words about the review. You have raised a fascinating question - and it can take pages to address the issues raised by it. A quick answer on this (since I'm currently at an airport): Yes, you can enjoy and analyze the movie at the same time. In fact, what is the point if we are not enjoying it. However, enjoyment can come from many different perspectives - including from a depressing or a deeply disturbing film (I think Kevin and I had hours of conversation after seeing "Antichrist", which is also one of most disturbing movies I have seen in a few years). The key, I think, is to consider film as a piece of art and not as an activity when you don't want to think (sure Bond movies are still fun - but National Treasure or any thing that Michael Bay has done is a waste of time). This way you know that good directors are also familiar the genre of films, literature, history of cinema, etc. so what they put in the movie is often a conversation with the cinematic tradition (for example, playing with the genre rules, or paying homage, etc) and/or a exposition of humanity (just like good literature). Couple of examples: Check out the recent "Winter's Bone". This is a movie about human spirit and poverty - and yet it is also a highly absorbing thriller with no special effects (an anti-Inception). See also our autopsy. Then you also have A Serious Man by Coen Brothers and Inglorious Basterds by Tarantino. "A Serious Man" has philosophical and religious layering I had couple of posts on it last year), whereas Basterds is a movie about movies - and not about Nazis at all (most of the plot revolves around a German cinema). Most of Tarantino films are a conversation with other films. Thanks so much for that thoughtful and helpful response – especially from the airport! It made me regret – a little – that I never took a film criticism class at Hampshire (I think I audited half of one). I think, also, that I don’t get to see nearly as many movies as I would like to – partly due to time issues (grad school), and partly due to the fact that the current cost of a movie ticket in NYC is approximately $53. Without popcorn. So at least half of the few I see probably do tend to serve the role of escapist entertainment. Incidentally, I watched “The Sea Inside” yesterday, after wanting to see it for several years – it was very powerful, and beautifully done. Have a great time in Malaysia – I hope you get to see a lot of interesting animals – very different from the sheep at the Hampshire Farm Center!